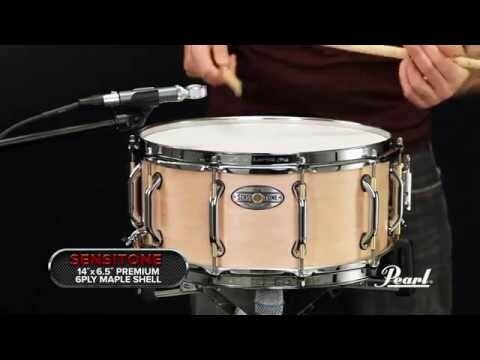 The Sensitone Premium Maple shell features 6-plies of North American Maple from Pearl's prime veneer vault. Each snare is precision crafted, yielding optimum response in the tonal midrange for controlled sustain and power. You'll get top-end projection with fat highs and mids from the 14x5 model and the 14x6.5 gives a thick snare tone with supressed mid-tone presence. 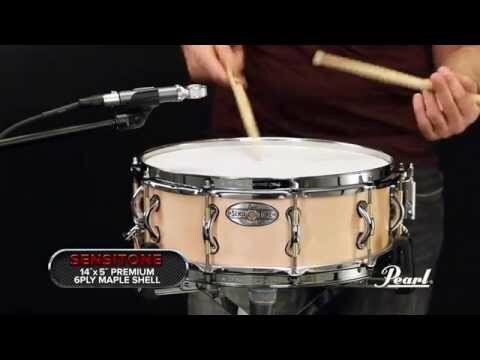 Purchase Pearl Premium Maple products online!